Last week I wrote about my favorite California Missions. Today, I’ll share some of my favorite places to explore in Gold Country. I’m not talking about the Golden State – I’m talking about Gold Country: where the miners searched for treasure during 1849 and the following years. Just the thought of the beautiful mountains and clear streams makes me want to go back. There are many beautiful places in America, but California Gold Country and the Sierras are some of my favorites. In 1848 a man named John Marshall was overseeing the building of a saw mill on the Columbia River for his boss, John Sutter – owner of Sutter’s Fort in modern day Sacramento. There was something glittery down in the water and Marshall fished it out. It looked like gold…it was gold. Marshall and Sutter tried to keep the discovery a secret, but that’s a pretty big secret to get all the laborers to keep. Word leaked out. Residents of California raced for the location and across America newspapers heralded the discoveries. Gold, Gold, Gold – In California! That started the “gold fever” and thousands of people across the nation dropped their work, found transportation across the Great Plains, across the Isthmus of Panama, or around Cape Horn and arrived in California. 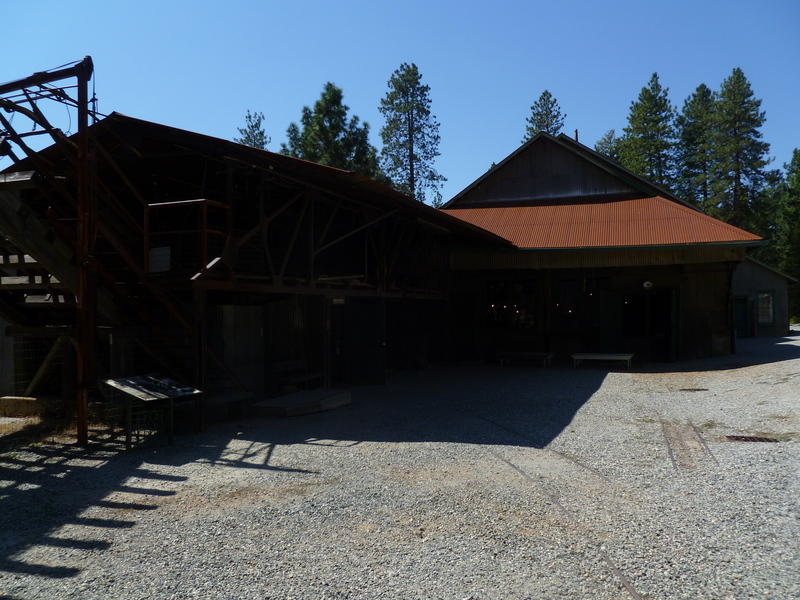 Sutter’s Mill – where John Marshall discovered gold! With pick ax and shovel, cradle, sifter, and miner’s pan, these forty-niners toiled in search of grains and nuggets of gold. Some struck it rich. Most did not. 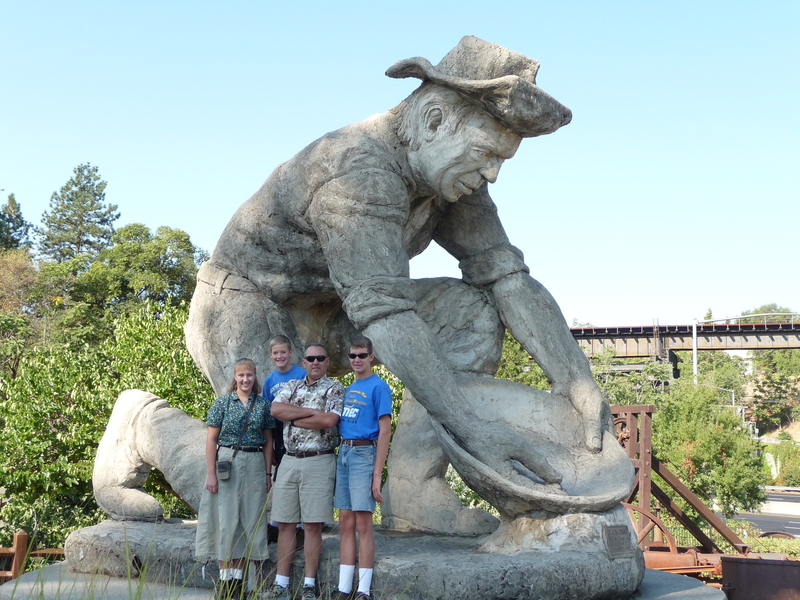 The legends, discoveries, and tragedies of the California gold fields are fabulous! 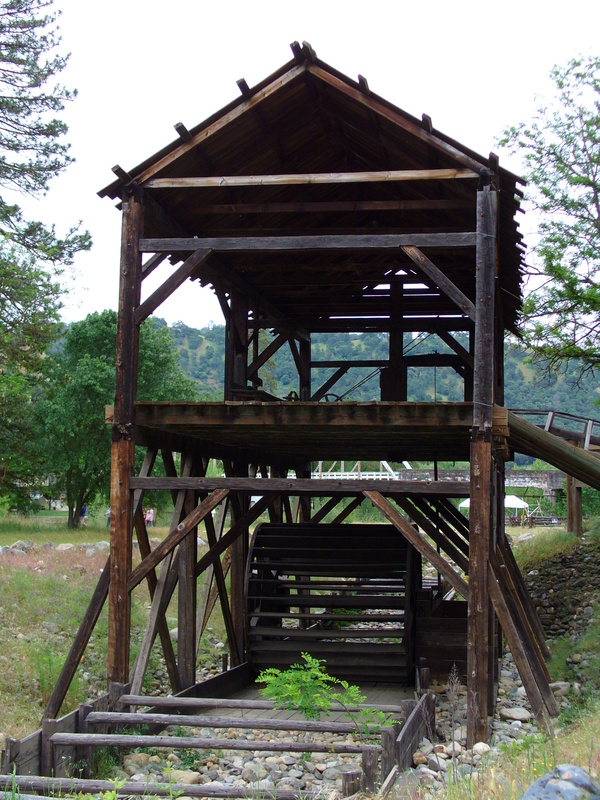 Located at the actual location of the saw mill, this historic site preserves and explains the moment when John Marshall discovered gold. 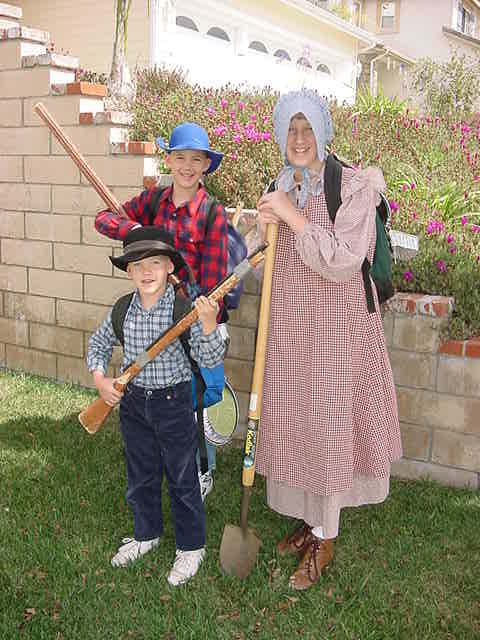 There is a small museum and living history programs are scheduled throughout the year. You can walk along the river too – who knows what you’ll find! A fabulous location, Columbia is your chance to step back in time…well almost! Entire streets of the town are preserved and authentic shops line the shaded streets. There are a variety of living history experiences throughout the year. This town was established in 1850 when gold was discovered near by and its still steeped in Gold Rush history and folklore. Originally a gold-rush town, Auburn has grown and changed through the years, yet still retains an old-fashion charm in its historic district. There is a large statue of a miner and a display of mining equipment located at one of the main entrances to the town. There are museums in the beautiful county courthouse (but be prepared to go through basic security – no knives, gentlemen! 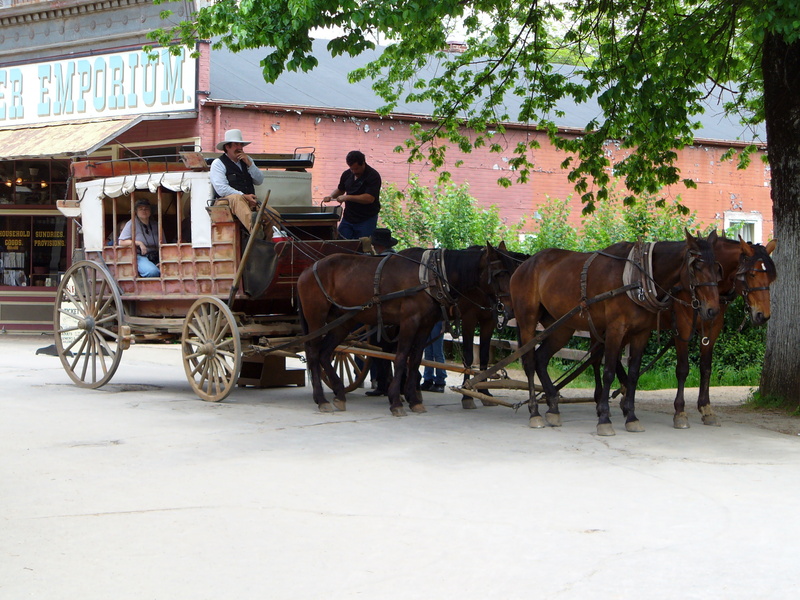 ), the Gold Rush Museum has great displays and is schedule to re-open in autumn 2015, and there are several other museums and historic homes in the area. Reflecting a later period in California gold mining – when mining was semi-industrialized – the Empire Mine Park features an impressive display of old mining equipment and the historic home of one of the mine’s owners and family. The location is beautiful and the tour guides were informative. This site helps us to visualize what California mining became after the prospector with his pick ax and pan became obsolete. No, no, don’t gold rush to my house – I don’t have a gold mine – seriously. But I did learn a lot about gold mining through the living history days my mom organized for us kids. First, we hiked “a long ways” up and down the hill we live on to symbolize the journey to the gold fields. Then we made sifters by nail punching holes in the bottom of aluminum loaf pans and got to work in the sandbox, shaking and sifting for tiny golden colored BBs. (Extras from my dad’s BB gun.) Even better was “panning for gold” – mud, water, a few BBs, and an old pie plate equals hours of fun and a realization that most miners didn’t get rich quick! If you live in northern California, go see the history in your backyard and enjoy the charming small towns in your area. If you live farther away, maybe this post will inspire to explore Gold Country. P.S. Traveled to Gold Country? What’s your favorite location? Next General Ewell’s Gettysburg: Prudence or Folly? Love the area and your synopsis! Particularly appreciated that Auburn had tributes around town to various labors and ethnic groups associated with the Gold Rush. Fun to recall my visit there! Hello! Our family will be visiting the hour for a few hours next week. I am deciding between Sutter’s Fort and Marshall Gold Discovery SP. It will not be a living history day for either location. From which do you think we could glean the most about Gold Rush history? For Gold Rush history, I’d recommend Marshall God Discovery State Park. Hope you have a great visit. Tag @Gazette665 in a photo on social media, if you want. Thanks so much. I found your booklist invaluable for our CA excursions.